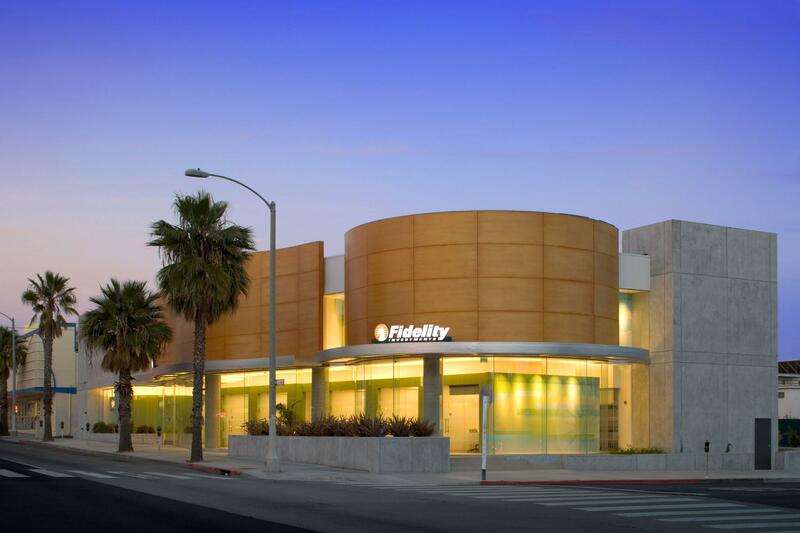 The Santa Monica Fidelity Investment branch office located at 1200 Wilshire Boulevard combines a pedestrian-oriented street-side facade with vehicular access to the back of the building and a below grade parking garage. 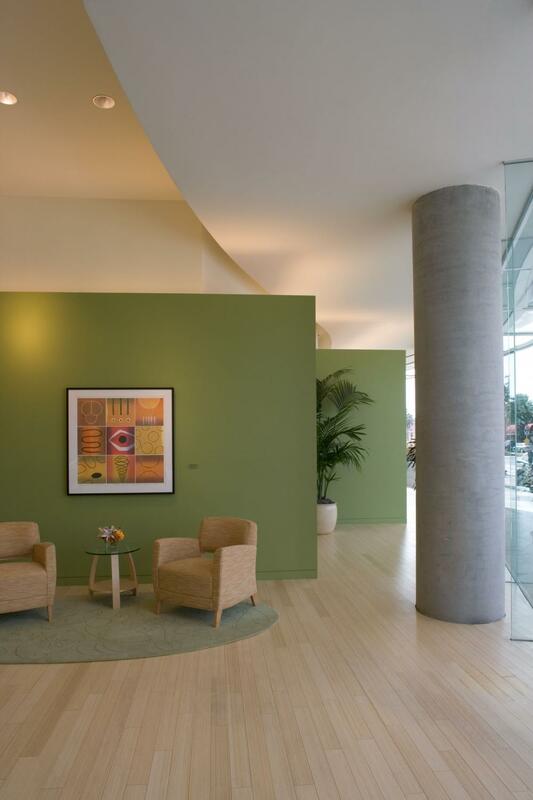 The 7,500 square foot building is visually striking and demonstrates a balanced composition of material textures as it transitions around the corner from Wilshire Boulevard to 12th Street. 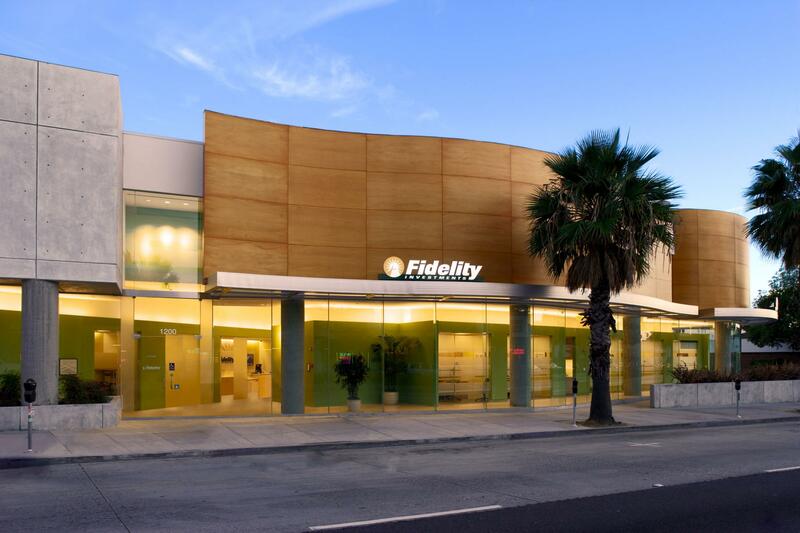 The upper building façade includes exterior wood paneling and a projected awning system used for sun control and integrated signage. 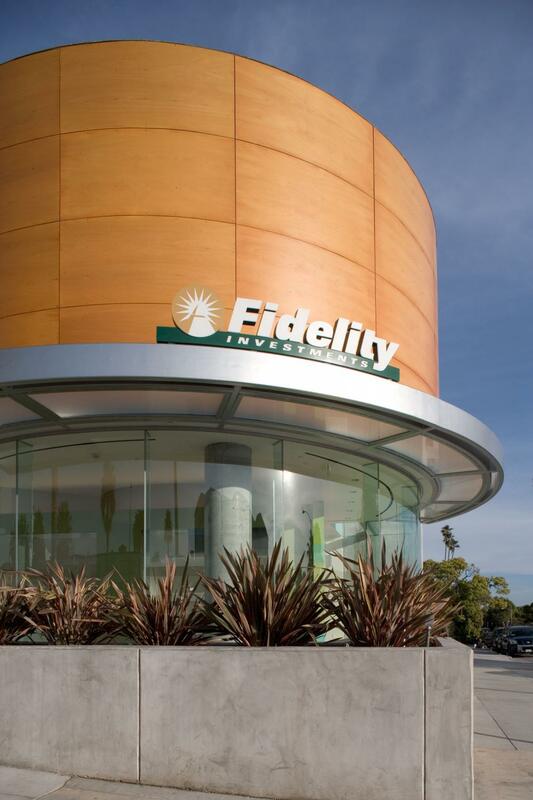 The pre-finished honey-colored wood composite provides a visual contrast against structured board-formed concrete walls. 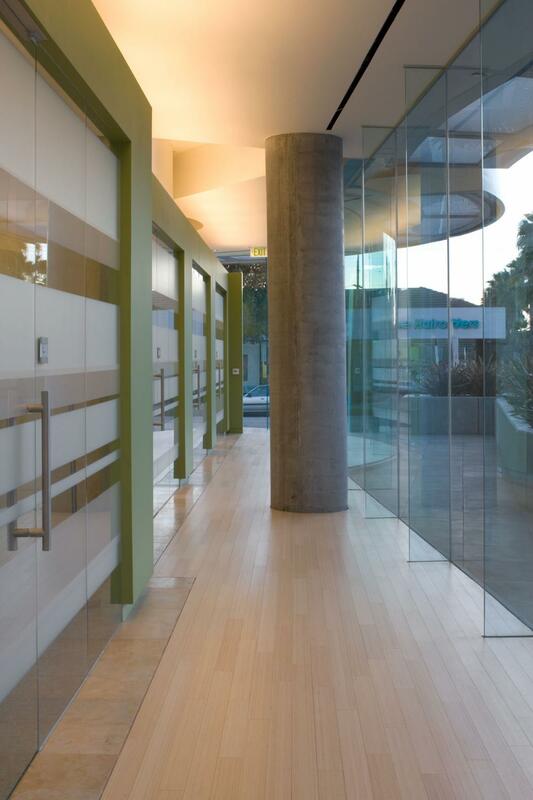 Curved expansive glass windows wrapping two sides of the building further articulate the front façade and provide transparency into the building’s colorful interiors.